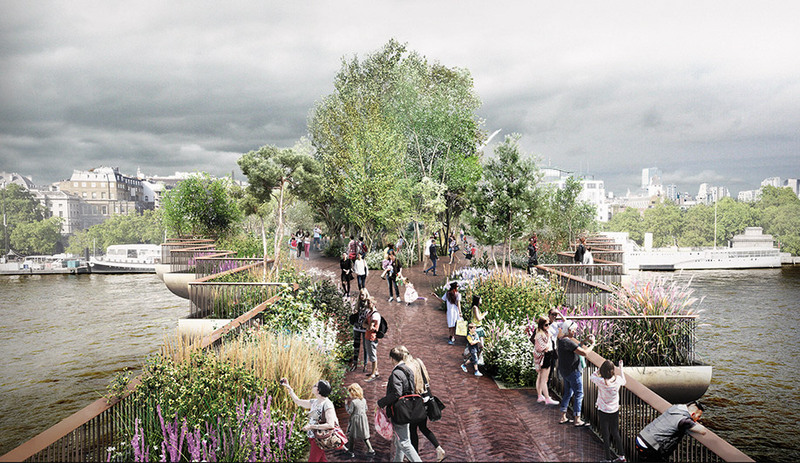 Arup’s hyperreal vision of the proposed Garden Bridge in London includes over 100,000 plants and 270 trees. ASLA presented Toronto’s award-winning Underpass Park to its members in 360 degrees. When it was unveiled three years ago, Thomas Heatherwick’s proposal for Garden Bridge was applauded for its vision of a landscaped viaduct spanning London’s River Thames. But like many massive public works, it also drew skepticism for its multi-million-dollar price tag. In the years since, the pro-bridge team has spared no effort to sway public opinion, the most effective measure being a 360-degree virtual reality video by Arup that places viewers on the proposed bridge with the help of immersive headsets. While the bridge’s future remains uncertain, Arup’s detailed visualization, presented to the public at events around London, played a vital role in the organizers’ plans to rally support for what might otherwise have remained a pipe dream. 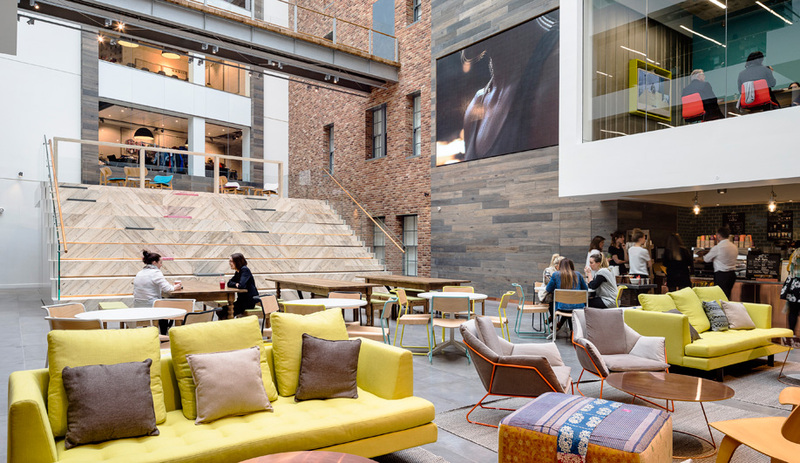 The same tools can also help architects promote concepts after they have been built. In October, the American Society of Landscape Architects conferred an award of excellence on Toronto’s Underpass Park, a project by Vancouver firm PFS Studio. 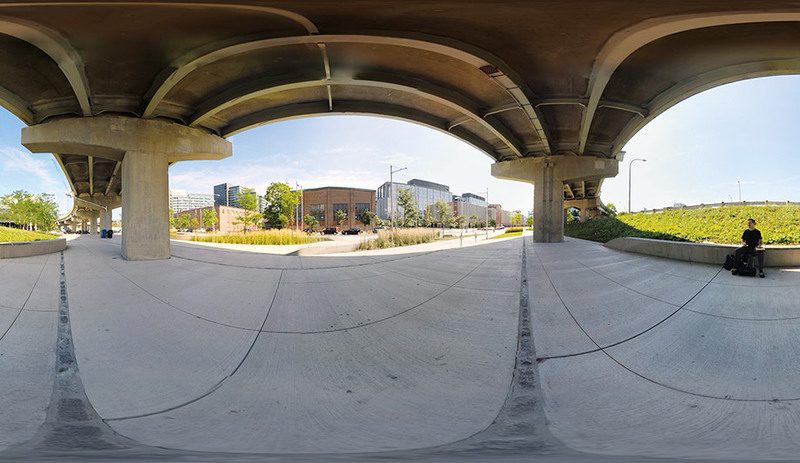 To present the project to its members, ASLA commissioned a 360-degree video of the urban park – which is nested underneath a highway overpass – complete with skateboarders landing tricks. 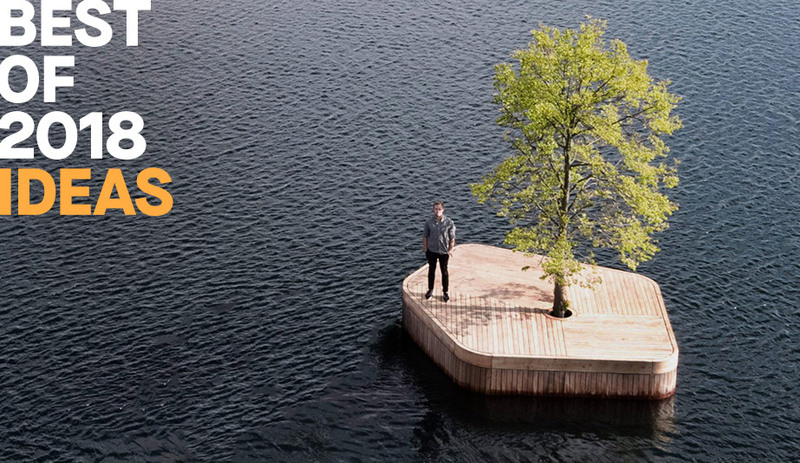 “Many people will never have the opportunity to visit the park in person, but with our video, they get a good sense of what it’s like to be there,” says ASLA senior communications manager Jared Green, who hired Ian Tuason of Toronto to film the park. Just a few years ago, 360-degree videos like these were viewable only by wearing specialized, cumbersome equipment. Today they’re accessible on smartphones and desktop computers; even YouTube and Facebook offer a narrow window onto a panoramic world. High-definition cameras, too, are making it easier and cheaper to assemble multiple recorders into an array that captures the action on all sides. Most importantly, headsets like Oculus Rift, which offer the best virtual experience, are poised to spike in popularity as the next generation of video gaming arrives.